As we inhabit this mobile architecture, moving ever forward, pitching our tarp between trees atop mountain passes and taking momentary refuge in rented beds and renovated farmhouses home has often been a topic of conversation. 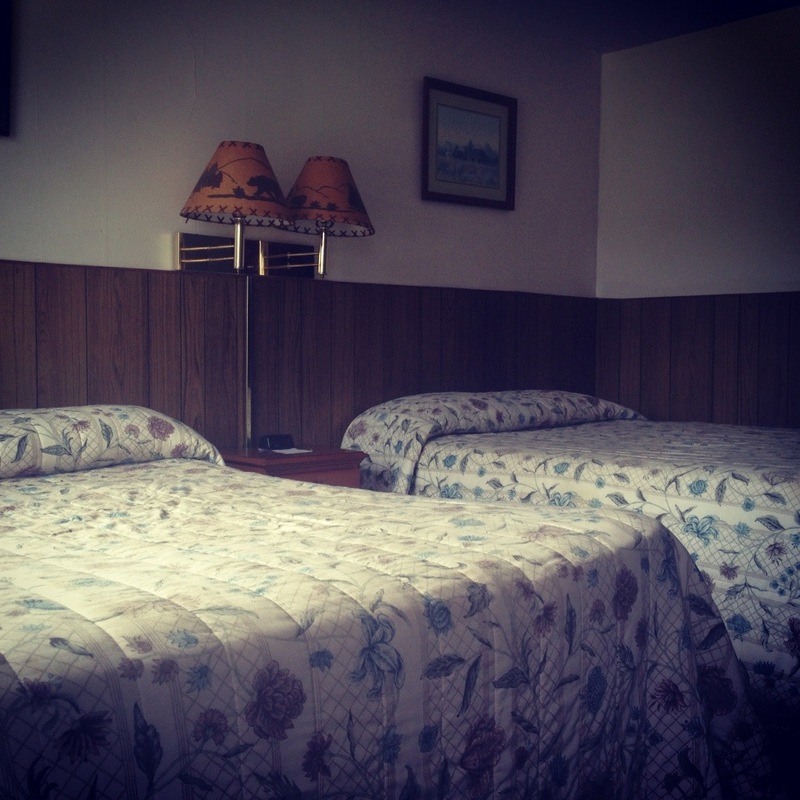 When it packs in a rucksack, manifests itself in motel kitchenettes, and echoes between the walls of drafty wooden lean-tos the idea of home and how we construct it becomes ephemeral. Bachelard talks about our oneric concept of home in his Poetics of Space – how the architecture we encounter during childhood shapes our perception of home. In Western culture these ideas are often based on fixity, permanence & ownership; each person a king of their own castle. Yet the idea of the ‘family’ or ‘childhood’ home becomes increasingly inaccessible as homes change hands. The American ideal encourages a separation between the childhood and adult homes; without distancing yourself from your childhood home, traveling between dorms & dilapidated apartments and suffering the torments of slum lords, you cannot achieve adulthood without achieving ‘home ownership.’ This is both a visible declaration of upward social mobility and a moving point circling an ever smaller center. Although economic circumstances have made home ownership impossible or untenable for many, we still can’t divorce ourselves from the ‘permanence’ of home and it’s essential architecture. Our memories of home are locked in an architecture whose doors are forever closed to us. We are learning that the architecture of home is a actually more purely conceptual – our tarp is a representation of our own ideas of home. The architecture of the tarp, with its taught ridge line and gabled inner net enclosure physically represents the architecture of the home. Yet it’s openness to light and sound suggests we expand the boundaries we use to define the ‘home’… We accept the home’s temporality and it’s shifting geometry, it’s site specificity, and invite in a cool breeze or the sharp & sweet songs of birds at dawn. In our case, the ‘home’ reflects more how it is made, and the community that supports it, rather than the space it defines. Embracing the concept of a barn raising, each time we erect the tarp we reflect simultaneously on the uniqueness and variability of the location and the richness of the community that facilitated our experience at this place. We thank our friend Brenna, who let us monopolize her sewing room for a night, which helped us realize how inept we were at sewing. 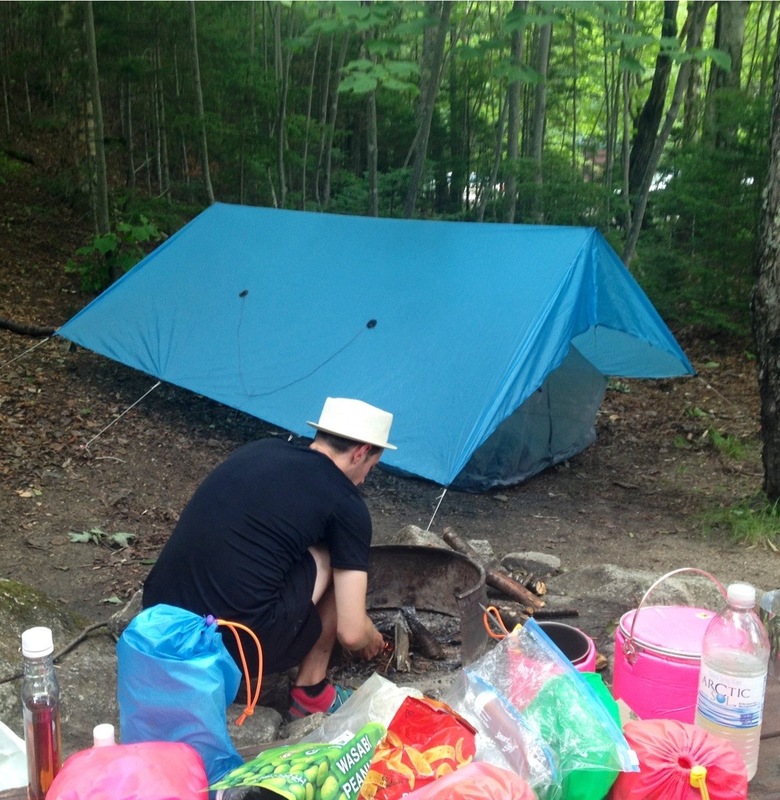 We sincerely thank our friend Zoe – who helped us stitch the tarp and net – every time we weather a surprise thunder storm or a biblical plague of mosquitoes. We think of the body of knowledge developed and shared by Ray Jardine whose pattern we used to construct the tarp, which has benefitted generations of backpackers. And we reflect on the people we have met – an evolving community of travelers traversing a shared landscape inhabited by singular visions – as a new type of community to support our new vision of how we make a home. This entry was posted in hiking, people and tagged AppalachianTrail, AT, community, psychogeography on August 1, 2013 by GROUCHO. Hey thanks! In trying to communicate this experience its hard to get at what makes is so different… Happy I manage to capture at least a small part. Thanks for sharing. Each night a different home/experience.